It’s May and that means summer is comin’ ya’ll! Here in the south we welcome the heat with an ice-cold cerveza in celebration of Cinco De Mayo. Though the Mexican holiday has taken on an identity of its own in the states, Cinco De Mayo is a holiday honoring Mexico’s struggle for independence and triumph against all odds. It’s a commemoration of the Mexican resistance’s improbable victory over the French in the Battle of Puebla on May 5th, 1862. The wild west, including Mexico and Texas, during the mid to late 1800’s was ruled by the cattle industry. The cattle ranchers were know as Vaqueros, or Mexican cowboys, and are believed to be the first true cowboys. Vaqueros were known far-and-wide for their dexterity on horseback and with a lasso. It is said these mythic figures had no lack of cowboy swagger, as they would only dismount for a chance to dance with pretty girls. Basically, these guys knew how to look cool. 1) Travel with a posse. 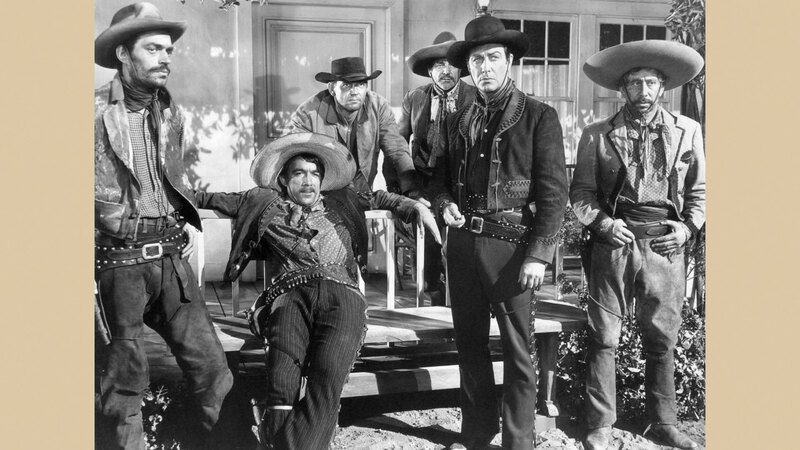 A true vaquero travels with a posse filled with ruffians that always looks like they’re about to start a brawl. 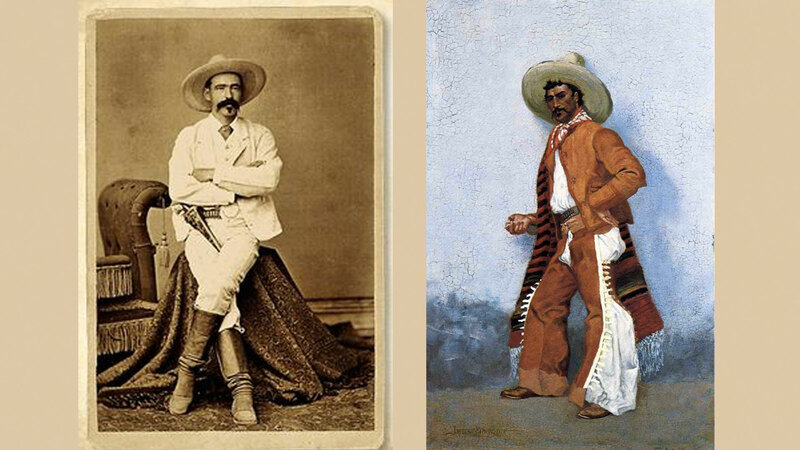 Relaxed yet up-to-no-good is the default demeanor of a real Mexican cowboy. 2) Wear a hat that makes a statement. The hat is the most iconic piece in any cowboy’s attire. Though originally designed to keep the sun out of the vaqueros’ eyes, cowboy hats and sombreros have now become a serious fashion statement. 3) Consider the whole ensemble. 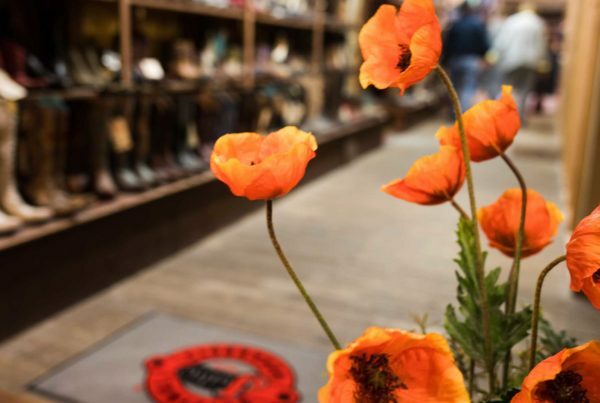 From their dusty hats to their worn out boots- every part of a vaquero’s outfit reflects a trail-blazin’ lifestyle. Try taking a lead from these dudes and their effortless head to toe ensembles! 4) Learn some party tricks. Vaqueros love to show off their lasso skills to impress the ladies. This is definitely a party trick you can show off during Cinco De Mayo. And it looks fairly simple to learn. Well, at least it seems so on this tutorial video. 5) Fringe is your friend. Fringe has been around for thousands of years. Allegedly, the origins of this fashion trend can be traced back to the ancient civilizations of Mesopotamia. 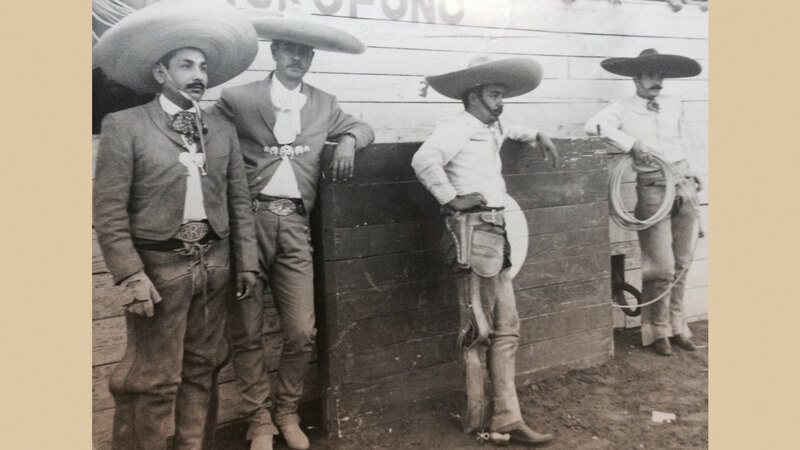 Vaqueros have been using fringe to liven up their outfits since the 1800’s, and it still looks awesome today! 6) Embrace textiles and patterns. Layers of beautiful fabrics and patterned blankets are used to keep Vaqueros warm as they drive the herd through mountains and cold mornings. Let the vibrant colors of old Mexico inspire your outerwear this Cinco De Mayo. 7) Master that brooding stare. Learn how to peer into a non-existent distance, like you’re thinkin’ of the good-ole’-days on the range. Also, staring out from underneath the brim of a cowboy hat will add that extra bit of mystery.